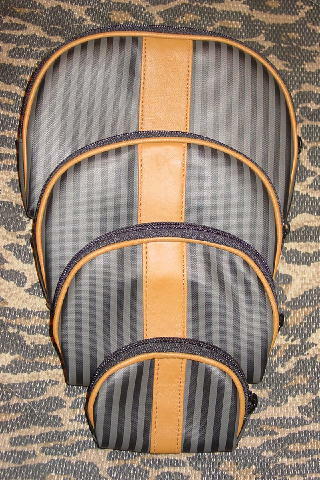 This never-used four piece set has a faux caramel color center strip and accent cording around both side edges of each piece. 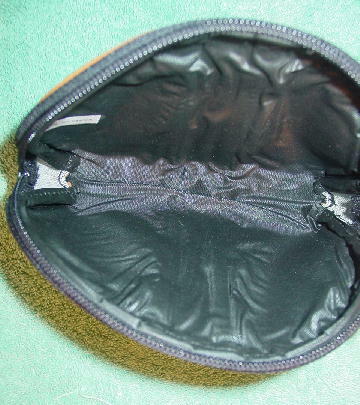 They have top side to side zippers and black plastic interiors. 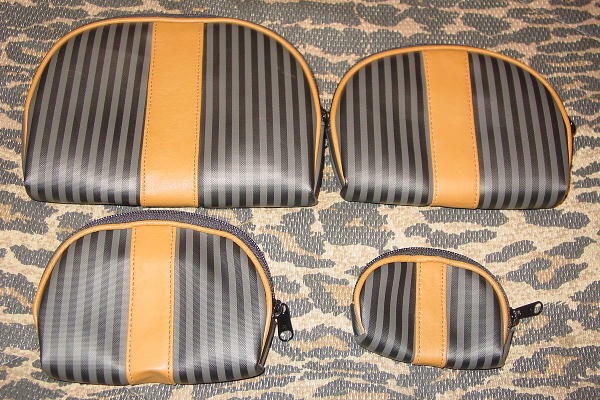 The black and gray striped exteriors are vinyl. The smaller three pieces fit inside each other, and then they all fit into the larger piece. The largest piece can be used as a clutch, which can simultaneously hold both the smallest piece (coin holder) and the second smallest piece, which can hold your makeup.